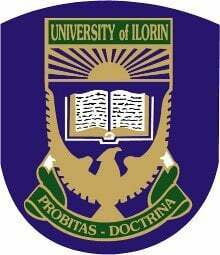 Important Information for the University of Ilorin, UNILORIN 2017/2018 graduands regarding the university 34th convocation ceremonies. This is to inform the 2017/2018 Graduands of the University that the 34th Convocation Ceremonies will commence with a Jumat Service on Friday, 12th October 2018 and end on Sunday, 28th October, 2018 with a Special Thanksgiving Service at St. Thomas Aquinas Chaplaincy. See also: UNILORIN 34th Convocation Ceremonies Schedule of Events. ii. Each graduand shall be allowed a maximum of two (2) guests. Invitation cards will be issued to graduands when they arrive to collect their academic Children will not be allowed into the Convocation Arena. v. Order of Proceedings, Certificate Scrolls, Certificate Folders and Convocation gowns will be available for collection immediately after the Convocation Lecture on Monday, 22nd October, 2018 in the respective Faculties, on presentation of evidence of payment of appropriate charges, while Certificates shall be distributed on the Convocation day at the various Faculties and the Postgraduate School. It is beneficial for graduands to note that academic gowns are limited and will be on first come, first served basis, please. vi. Graduands are expected to attend a rehearsal of the Academic Procession which will hold at 3.00 p.m. on Sunday, 21st October, 2018 at the University Stadium. vii. It is compulsory for all graduands who will attend the Convocation Ceremony to participate in the Academic Procession and wear the approved academic outfits. Academic Gowns are limited and will be distributed on first come, first served basis. viii. All graduands are expected to be formally dressed in full English wear (i.e. suit, shirt and tie for men and skirt suit/skirt and blouse or gown for ladies) OR full national dress. ix. Graduands hiring Academic Gowns are expected to pay a refundable deposit of N2,500.00 (Two thousand, five hundred Naira) only in cash to their Faculty Officers OR submit to their respective Faculty Officers, a Guarantor Form duly completed by a staff member of the University. This payment is outside the non-refundable fee of N2,000.00 in (iii) (c) above, please. x. All hired gowns should be returned by the graduands to their respective Faculty Officers not later than Wednesday, 24th October, 2018. Gowns returned after that date will attract a fine of Fifty Naira (N50.00) per day, which will be deducted from the refundable fee of N2,500.00. i) Graduands should make their payments with Automated Teller Machine (ATM) Cards. The ATM cards acceptable for use are Master and Visa cards. Each graduand should ensure that the amount in their account is up to the value of the required convocation charges and prevailing bank charges before login into the “Unilorin Convocation Portal” for payment. a) Based on (iv) a – c above, first degree graduands are to pay a total sum of Twenty thousand, eight hundred Naira (N=20,800.00), Higher Degree graduands (excluding Ph.D.) Fifteen thousand, eight hundred Naira (N15,800.00), while Ph.D. graduands are to pay Fourteen thousand, eight hundred Naira (N14,800.00) only. Candidates would be expected to pay the prevailing bank charges in addition to their charges. Payment for the Convocation materials in (iii) a – g and iv (a – c) above shall commence from Thursday, 11th October, 2018. Graduands are advised to pay early so as to avoid last minute rush. Interested graduands are to note that while the purchase of the University’s academic gown is mandatory for Ph.D. graduands, it is optional for Master and First Degree graduands. However, the latter groups are encouraged to acquire the gowns for personal use as a mark of permanent identification with the University of Ilorin. Graduands wishing to procure academic gowns are advised to contact Messrs Ola Dandy Tailors & Co., No. 33, Oke-Bola Road, Ibadan, on GSM No. +2348028990229/+2348059202500, Oluwhale Perfect Nigeria Enterprise, No. 7, Erinle Street, Gaa Akanbi, Ilorin, GSM No. +2348038954927 and Technical Entrepreneurship Centre (TEC), University of Ilorin – 07038848812. On arrival on the campus, all graduands are required to register as members with the University of Ilorin Alumni Association at the National Alumni Secretariat, University of Ilorin. The University encourages its Alumni to be committed to their alma mater. To this end, release of certificate is dependent on evidence of registration.